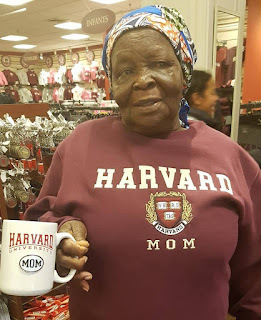 The Orabella's Blog...: Chris Mburu Takes His 83 Years Old Mum To Harvard University!! 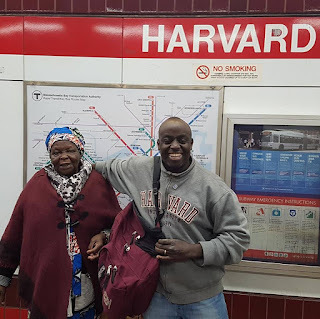 Chris Mburu Takes His 83 Years Old Mum To Harvard University!! Its the joy of every mum to see their children succeed and reap the fruit of their labour. Chris Mburu, a Kenyan took his mother to one of the respected University he graduated from 24years ago. His dearest mum was absent at his graduation ceremony because of the cost of transport that was too expensive. April 2017, became the faithful day that he could fulfill that wish to his mum. 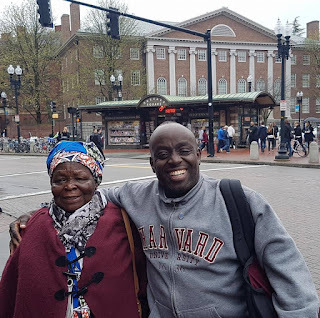 He certainly made his 83 year old mum proud..
"When I graduated here 24 years ago, my mother was absent from the ceremony, because it was too expensive for her to make the trip from my native village in Kenya to the United States. So you can imagine the joy I felt last week as I brought her for her first visit to the university, at the age of 83! Though uneducated herself, my mother has always valued education and indeed remains one of the smartest people I know"